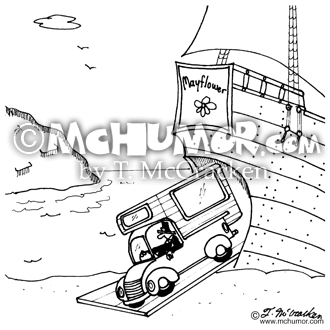 History Cartoon 5578: A pilgrim driving a camper leaving the Mayflower ship. 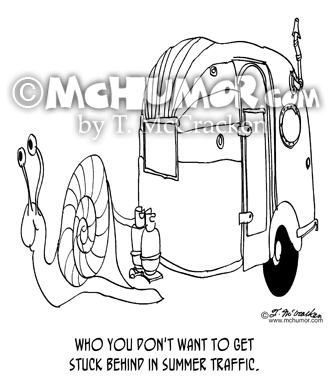 RV Cartoon 6925: "Gen-Xers in their retirement years." 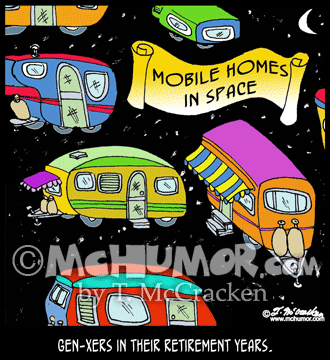 Mobile homes in space." 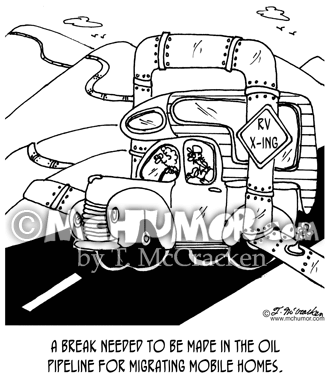 Oil Cartoon 6444: A huge arch in a pipeline with a traffic sign saying, "RV Crossing" "A break needed to be made in the oil pipeline for migrating mobile homes. 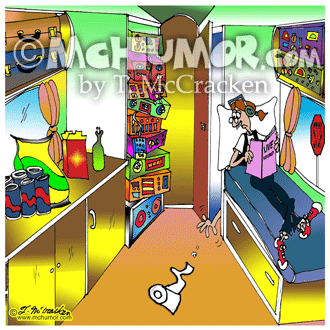 Trailer Cartoon 7570: A hand reaches frantically out a bus lavatory door trying to grab a roll of toilet paper that's rolling away and down the aisle. 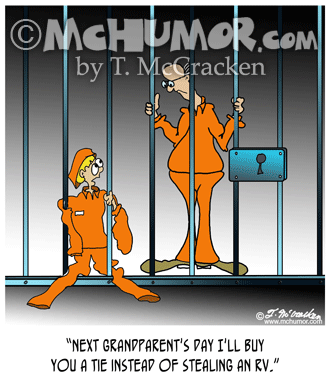 Grandfather Cartoon 8853: A kid sharing a jail cell with a man says, "Next Grandparent's day I'll buy you a tie instead of stealing an RV." 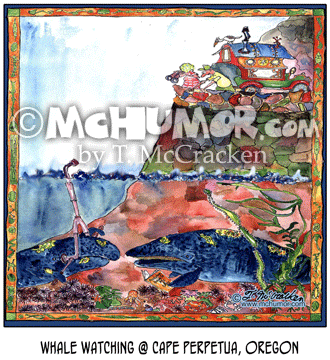 RV Cartoon 8019: "Whale Watching @ Cape Perpetua, Oregon." 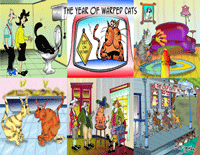 While tourists in RVs watch whales using binoculars whales watch them using a periscope and using a book, "The Audubon guide to cars and RVs." 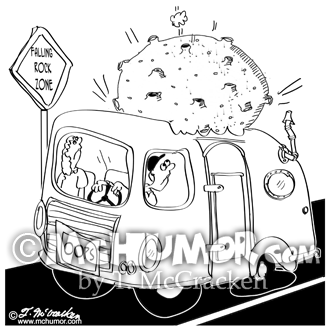 RV Cartoon 8881: A meteorite falls on an RV in a "Falling Rock Zone." 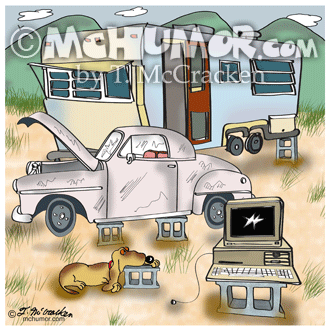 Computer Cartoon 9368: Outside of an old mobile home a car, a dog and a computer sit on cinder blocks. 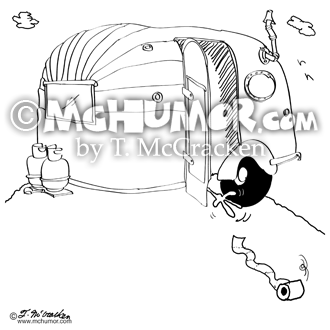 Trailer Cartoon 8851: A hand frantically reaches for toilet paper that’s rolling out of a trailer on a hill.